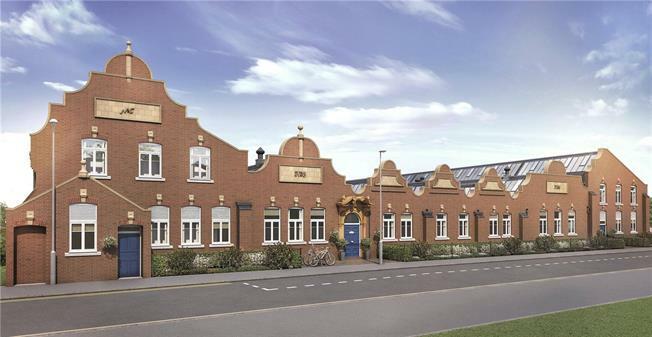 1 Bedroom Flat For Sale in St. Albans, Hertfordshire for Asking Price £318,000. Located within the historic Grade II Building sits a Ground Floor 1-Bedroom apartment offering an excellent open-plan Kitchen/Living/Dining area, and a generous Bedroom. There is a family Bathroom and storage cupboard with one allocated parking space is provided within our gated car park. - White sanitaryware Bathroom with half-height tiling to walls with sanitaryware and full-height tiling to bath walls. Chrome mixer tap, Chrome bath mixer taps with built-in thermostatic shower over bath and over bath glass shower screen. Heated chrome towel radiator. Chrome low-energy downlighters. - Wiring for satellite to Living room, Master Bedroom. BT points to Living Room, Master Bedroom. Mains operated smoke detectors with battery back-up.